FAMILIES of the Yandina Five say this is the human face of the Queensland Government's bikie crackdown. On Friday a photo of the children of the five men arrested at a Sunshine Coast pub under the VLAD laws was posted on the Free The Yandina 5 Facebook page. It shows the young sons and daughters of Steve Smith, Joshua Carew and Scott Conley, who along with Dan Whale and Paul Lansdowne, make up the Yandina Five. 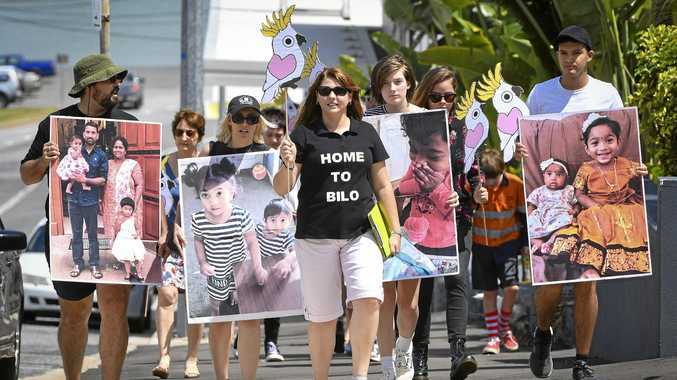 The picture has attracted some criticism online, with claims it exploits the children. But Tracey Carew, the wife of Jake Carew who is still in jail, said she was just trying to "humanise" the five men. "We're not exploiting children, we're just trying to put a real human face to what the laws are doing to our families so people can become more and more aware," she said. "It's a way of spreading the word. "We're not exploiting them, we're putting a face to it." 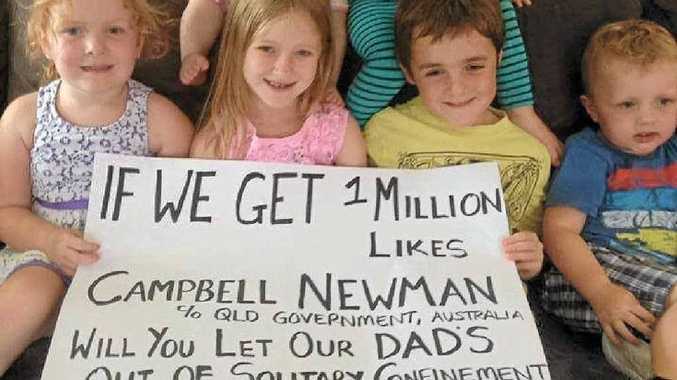 In the picture, the children hold up a sign saying: "If we get 1 million likes, (Queensland Premier) Campbell Newman will you let our dads out of solitary confinement." Mrs Carew said she did not believe the five men would be released if it attracted enough attention on social media, calling it a tongue-in-cheek protest. "The page has had 10,000 likes since they were arrested."